Your iPhone is more than capable of keeping you informed of the weather conditions and forecast for your area. 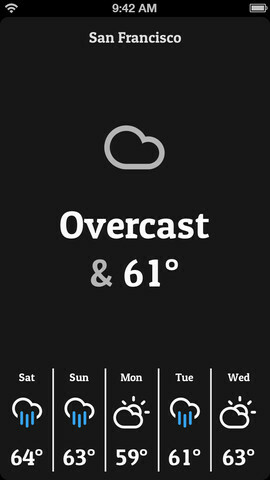 We have already covered a bunch of beautiful weather apps in the past. Conditions is an elegant solution that shows you the information you need to know without offering unnecessary bells and whistles. 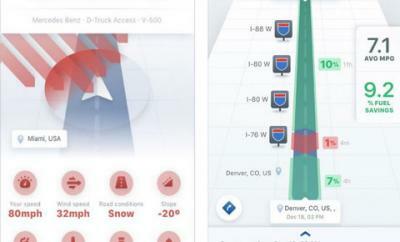 Conditions saves you time when it comes to checking the weather in your area. 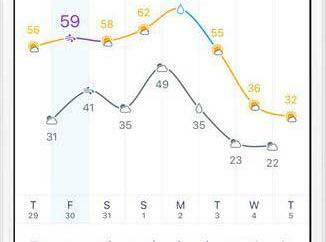 It displays a 5 day forecast with the temperature information. Day and night themes are available too. 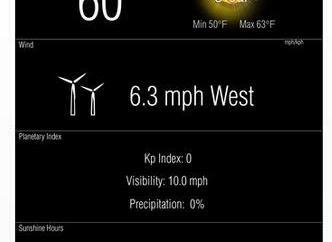 The app automatically adjusts the look and feel depending on the time of the day. Conditions has a minimalist design and displays its data in an easy-to-read fashion. 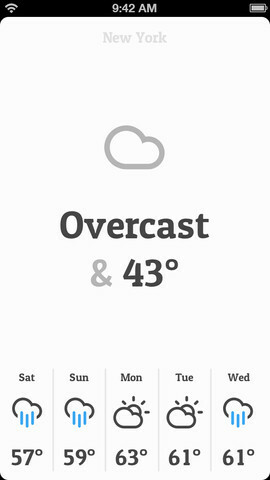 There are plenty of more advanced weather apps available for iOS. Conditions happens to be for folks who just want to quickly check the weather conditions for their area. The app is available for $0.99 at this time.